A master composer of our time will celebrate his 78th birthday this week. He is a man who has been nominated for five Tony awards, won two, and was just presented with a special Tony for Lifetime Achievement in the Theater last month. One Broadway song he wrote was recorded by Louis Armstrong in 1964 and it sent the 63-year-old singer soaring to the top of the Top 40 chart before the show even opened, knocking the Beatles from the number one spot in the process. Impressively, this man is the only composer/lyricist – ever – to have three Broadway musicals each run more than 1500 consecutive performances. And yet, an astonishing number of people will hear his name and think they aren’t familiar with his music. But ya are, Blanche, ya are. 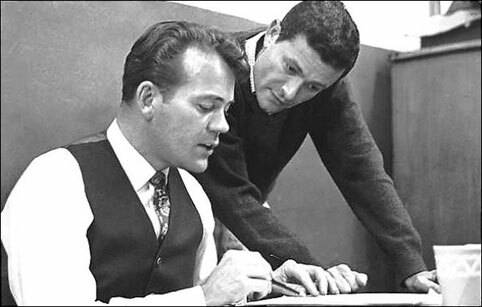 His name is Jerry Herman and yes, one might say he’s one of the greatest songwriters you think you’ve never heard of. Among Jerry Herman’s hits are shows such as Hello Dolly!, Mame, and La Cage Aux Folles. Some of America’s most treasured songs came from these shows including the title songs from all three, plus We Need a Little Christmas, Before the Parade Passes By, If He Walked Into My Life, Open a New Window and I Am What I Am. 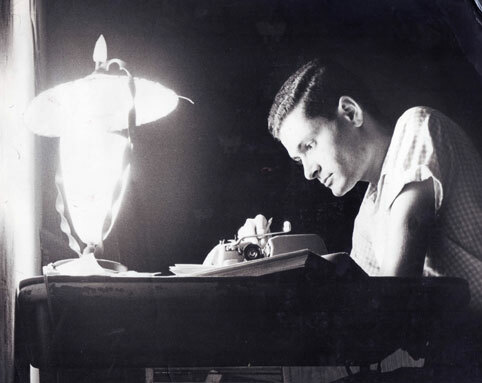 Jerry Herman writes old-fashioned songs, in the best sense of the term. Even in the 1960s they were old-fashioned, a musical theater style of cheerful music crafted from clever lyrics wrapped in melodies which lend themselves to being sung, whistled and hummed as you leave the theatre. His work can stand proudly next to the music of the giants of the Great American Songbook: Irving Berlin, the Gershwins, Rodgers and Hammerstein and Cole Porter. Herman’s music is marked by a distinct sense of optimism and enthusiasm, as is the man himself. There’s no problem that can’t be faced by pulling one’s self up by the boot straps and forging ahead. “Put on your Sunday clothes when you feel down and out / Strut down the street and have your picture took / Dressed like a dream / your spirits seem to turn about…” he writes in Hello Dolly! So that you can come first. Jerry Herman’s songs will endure, they are too good not to. They deserve to be heard again and again, to be discovered by new audiences who appreciate their genius or who just want to lose themselves in the escapism that music can provide. Luckily, fans of Jerry Herman have a chance to hear a collection of his music sung live this month down at the Henley Fringe Festival just outside London. July 20-25, singer Leanne Masterton is performing her one-woman cabaret show, Hello Jerry, a tightly-knit celebration of Mr. Herman’s songbook. Masterton had a sold-out run of the show in London’s West End this past Spring. The veritable optimism and sweetness that she exudes makes her perfectly suited to the music, while her acting skills bring charm to her delivery of Herman’s hits as well as songs from lesser known shows like Dear World. Masterton has a clear, lovely and commanding voice that’s right on the money. Match that with the warm and easy grace that is her presence on a stage and you can see why she draws audiences in. 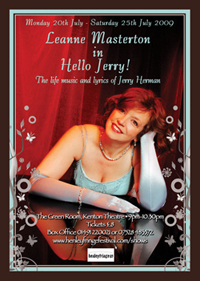 Catch up on your Jerry Herman, and see Leanne Masterton. Just like Mame herself could do, these two will make your black-eyed peas and your grits seem like the bill of fare at the Ritz.